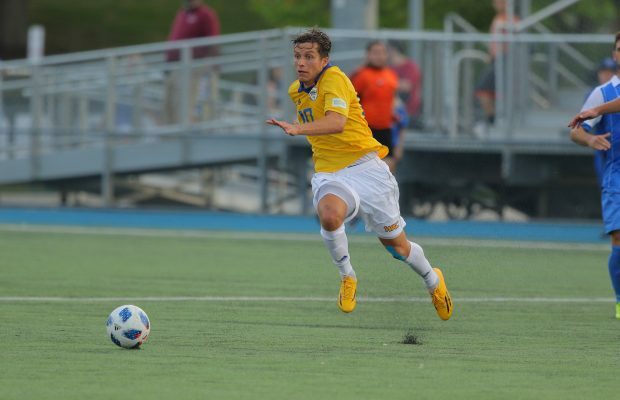 The UMKC men’s soccer team faced Drake on Tuesday, and was unable to match the Bulldogs strength and speed in a lopsided 3-0 defeat. UMKC struggled to find any rhythm early and were unable to produce anything on the offensive side of the ball. There were sloppy passes and fundamental mistakes that led to counter attacks for Drake. Although these counter attacks did not lead to goals in the first half, it still had the Roos chasing after the Bulldogs. Before the first half could end, a lighting delay stopped play for about 25 minutes When the teams came back on the field UMKC was still unable to create any chances and put pressure on Drake’s defenders. 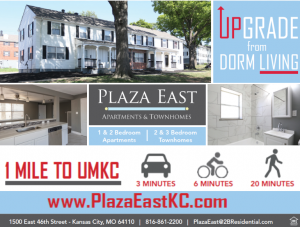 As the second half started, all the momentum was on Drake’s side UMKC could not find any consistent passing lanes and struggled to keep possession. In the 54th minute, Drake scored on a free kick that gave the Bulldogs a 1-0 lead. Drake scored again in the 59th minute. The Roos had a chance to score in the 60th minute with a freekick close to the goal. UMKC’s offense did not register a shot until the 62nd minute and could not capitalize on 9 corners. The Roos will look to bounce back as they travel to Northwestern on Sunday, Sept. 9.